Hey guys… It’s been a long time since I have posted anything. I was having a busy schedule and so I wasn’t regular in posting. But now I’m not that busy so you can expect regular updates on my blog. Ok coming to today’s post… I’m going to share a DIY recipe that helps to have even toned underarm. Darken underarm is quite a common issue and it takes away one’s confidence while wearing sleeveless clothes. Actually, it is quite easy to remove this darkness from underarm, but we overlook this issue and try various chemical treatments on our sensitive skin. There are numerous natural ways to remove it. I’m going to share one such method to remove dark underarms. Rice water – To make a paste. [you may also use orange juice instead of rice water. 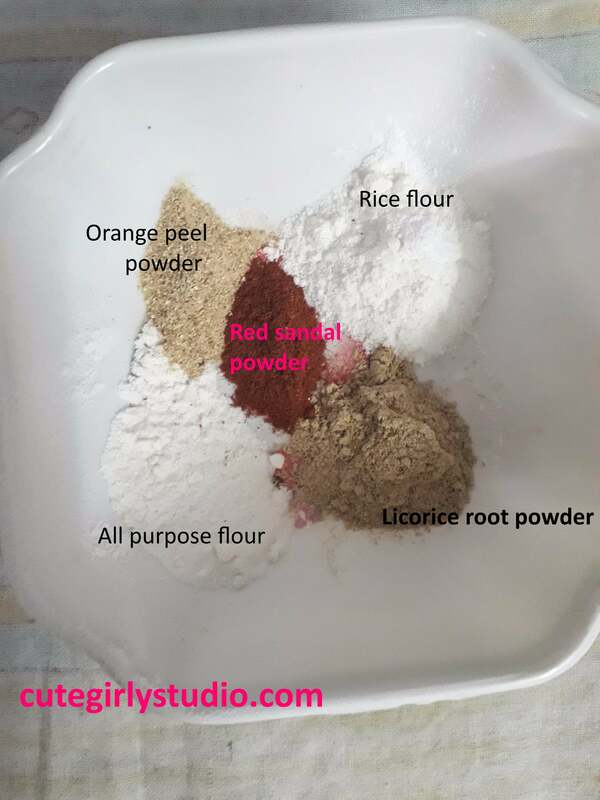 Take the all purpose flour, rice flour, licorice root powder, orange peel powder and sandal wood powder in a bowl. Now mix these ingredients well until all the powders are evenly mixed. Now add required amount of rice water to make a smooth paste. The scrub will be slightly creamy due to the presence of all purpose flour. Our cream scrub is ready to use. The consistency will be sticky to creamy. Now take a towel and dip it in warm water and then press this in your underarm to open up the pores. Now apply this scrub all over the darkened area and scrub it gently for 2 mins. Then leave it for about 5 to 8 mins and then wash it with normal water. Use this thrice a week to remove darkness from your underarm. You will notice the change in 2 weeks. Since this is a natural remedy you must give atleast 10 days to show results. If you are consistent with using this, then you will see the change in 2 weeks for sure. Though all purpose flour is not good for our health, this flour is an excellent skin lightening ingredient. Maida helps to lighten your skin within a short period of time. This makes your skin smooth and even toned. So don’t skip this ingredient. This helps to remove your dark underarms. Nutritional and mineral rich rice has been known as one of the traditional skin lightening remedies. Amino acid and vitamins present in the grain act as a clearing agent and control the shine of the skin. Rice powder is a bit coarse in its texture which makes it an excellent material to be used as a scrub. The fine particles helps the flaky dead skin cells leave your skin in an easier way. Rice absorbs all the sebum and leaves your skin clean, smooth and re-energised. The use of licorice makes the skin look fairer by brightening its color. Regular use of licorice helps to fade blemishes and dark spots. Antioxidants present in licorice extract help the skin to combat the conditions caused by free radicals. The active component glabridin in licorice powder greatly helps reduce the effect of sun damage. Applying licorice based extract on the skin after prolonged sun exposure helps us get back our original skin color. Being loaded with citric acid, orange peel powder works as a natural bleach for our skin. So, it can be effectively used for lightening the skin tone. 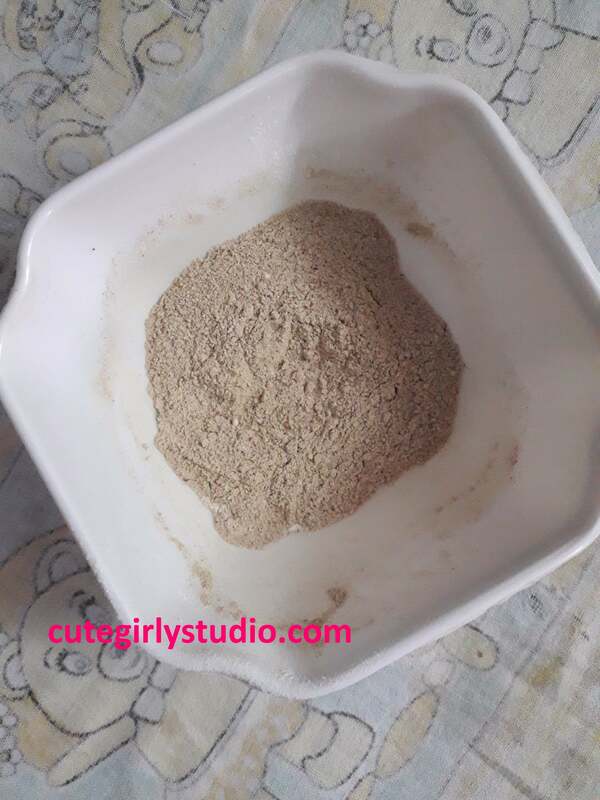 Regular application of orange peel powder to the skin can provide significant protection from damaging UV radiation and help us get rid of ugly suntans.It is also effective in lightening dark underarms. 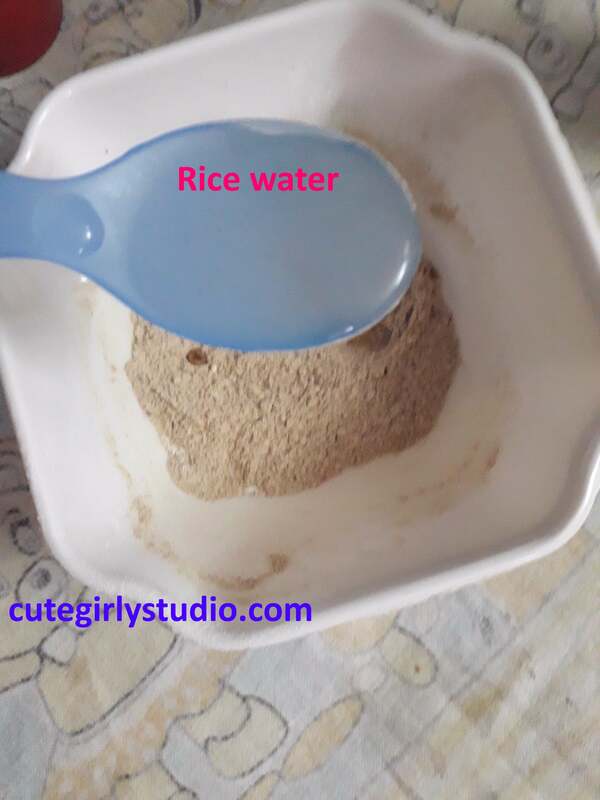 For the skin, rice water is said to be an inexpensive, effective beauty balm for cleansing, toning and lightening hyperpigmentation, sun and age spots. Many say you can see and feel results after a single use. Helping with smoothing texture, hyperpigmentation, and a porcelain finish, rice water illuminates, firms and tightens skin to appear refreshed and reduces pore size, leaving a powdery, soft feeling behind. 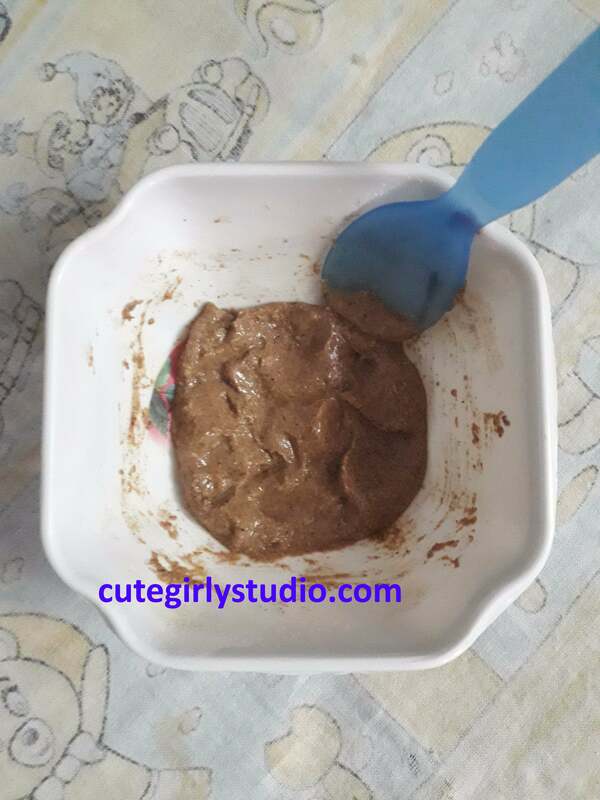 Do try this cream skin scrub and let me know the results in the comments section. Subscribe to my blog and follow me on Facebook | Instagram | Pinterest.